The other day my wife and I had to return a can of paint that we had purchased at WalMart and while we were there we decided to check on the Santa hats they had since my current hat were in pretty bad shape. We didn't find a good hat, but we did pick up a few other sundries. 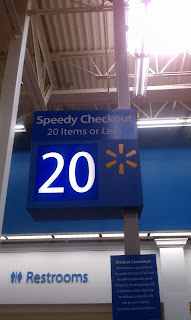 As we were checking out I noticed that we were at checkout 20, and it happened to be the express "lane". Intestingly enough, express was 20 items or less... on checkout 20. 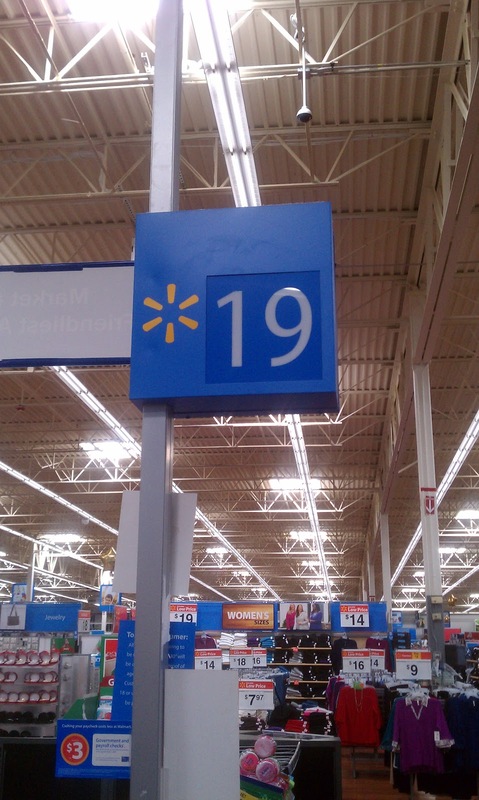 Hmmm, I wonder if 19 was express as well, but only 19 items or less? Nope. It's just a plain old ordinary checkout. Nothing express here. But that leads to another thought. Express is 20 items?!? In most places I visit, the express lane is 12 items or less. I am assuming that this is because the average item count for a persons order is not that large. If that is true, then what does this say about an express lane that is for 20 or less?